You can spend as much or as little as you like on an adventure. My good friends at the Scott Expedition are currently spending a million quid on their chilly camping holiday. Rowing the Atlantic [video] is a pretty pricey way of going boating. 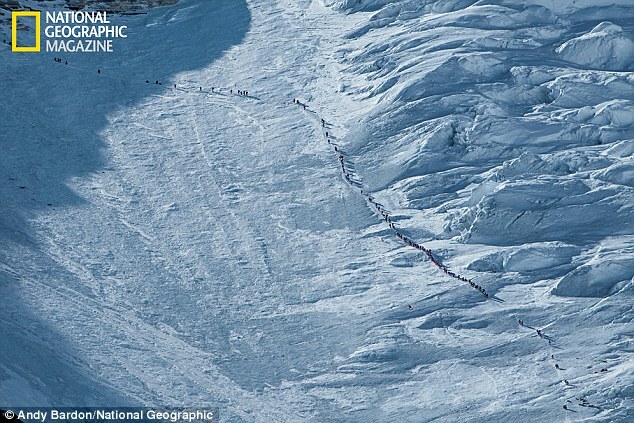 If you’ve got enough cash you can pay someone to drag you up Everest (though you’ll still have to queue). But if you don’t have access to that sort of cash, don’t give up. You can still have an adventure that is fun, or challenging, or long distance depending on what appeals to you. When I was a student, my friend and I bought plane tickets to southern Spain. The plane tickets were on offer – £5 – and were so cheap as to be irresistible. We decided to fly to Spain and try to only spend £5 in our week there. We had no idea what we were going to do once we got there, except to try to make some sort of adventure happen. Walking out of the airport we grinned at each other in the sunshine, stuck out our thumbs and began hitch-hiking. If you have no plan, let someone else make it for you. A car stopped. Picked us up. Drove us as far as Ronda. We got out. I had never heard of Ronda before, but those of you who have been there will know it’s a pretty great spot for a couple of hitch-hikers to arrive in. Perhaps due a chronic lack of imagination, we decided to walk back to the airport. But in a straight line. Cross-country. We set off on what turned into an epic week of scrambling up and down steep hillsides, buying bread in sleepy whitewashed villages and pinching occasional oranges from trees. We had no map. We followed our noses, slept under the stars, warmed ourselves by campfires and chatted to farmers who were surprised to see us so far from the tourist trail. It was a magical week. On the final night we slept in sewage pipes in a builders’ yard on the outskirts of Malaga. But that’s another story for another day. The next morning we flew home hungry and smelly, but it was one of the best adventures I’mve ever had. I still think of it often. With three weeks to spare, a friend and I decided to cycle across Europe. We flew to Istanbul and began riding home. The maths was quite simple. We had to ride 100 miles a day, every single day. We had £100 each to spend (plus money for flights and ferries), which meant a simple budget of £5 a day. I remember the stinking madness of the roads of Istanbul. I remember our excitement as we made it out of the city. I remember reaching the Sea of Marmara and how refreshing it felt to run into the water and cool down. Then it was back on the bike and ride, ride, ride. 100 miles a day was really tough for me back then and this was a gruelling physical challenge. But that is what we wanted. We were invited in to a family’s home for strong coffee and fresh oranges. We saw a dead bear beside the road. I waited for my friend for ages at the top of a winding hairpin pass in Greece. I was annoyed at his slowness. But then he arrived with his helmet full of sweets – like a foraged basket of blackberries – that a passing a driver had given him. And those bonus, free calories tasted so good! I remember the satisfaction of seeing the odometer tick over to “100” each day. I remember the simple fun of finding a quiet spot to wild camp, particularly the night in a flinty olive orchard as the sun set over the bay below us. Those were good days. (Or they were until we reached Rome when my ankle spontaneously swelled up and I had to fly home in agony with my leg in plaster! My friend valiantly continued the ride by himself and made it home on time and on budget). Head thumping heat shimmering sun beating. Loneliness in crowds of foreign tongues staring at one foreign face. Bruised feet dragging spirit bruised shoulders slumped. Can’t think. Can’t speak. Just walk. The monotony of the open road. These are common complaints on a difficult journey. I often get them all in a single day, and know there will be more of the same tomorrow. Most days involve very little except for this carousel of discomfort. It doesn’t sound like much of an escape. Yet escape is a key part of the appeal of the road. All my adult life I have felt the need to get away. Its intensity and frequency ebbs and flows but it has never gone altogether. Perhaps it is immaturity, perhaps a low tolerance threshold. But there is something about rush hour on the London underground, tax return forms and the spirit-sapping averageness of normal life that weighs on my soul like a damp, drizzly November. It makes me want to scream. Life is so much easier out on the road. And so I run away for a while. I’mm not proud of that. But the rush of freedom I feel each time I escape keeps me coming back for more. Trading it all in for Simplicity, Adventure, Endurance, Curiosity and Perspective. For my complicated love affair with the open road. Escaping to the open road is not a solution to life’s difficulties. It’s not going to win the beautiful girl or stop the debt letters piling up on the doormat. (It will probably do the opposite.) It’s just an escape. A pause button for real life. An escape portal to a life that feels real. Life is so much simpler out there. But it is not only about running away. I am also escaping to attempt difficult things, to see what I am capable of. I don’t see it as opting out of life. I’mm opting in. What adventure would you like to do for less than £1000? Have a think, share your thoughts in the comments section below, and commit to #GrandAdventure – my campaign to help you painlessly save £1000 whilst learning all you need to know to make your adventure happen. Couldn’t help but spot the play on words: ESCAPe = Endurance, Simplicity, Curiosity, Adventure, and Perspective. I’ve always wanted to do one of the long distance mountain trails, such as the Appalachian Trail. Not very original I’m afraid. The hiking and camping can be done fairly cheaply, but not the flights. There’s also all my other commitments I have (my kids and wife for instance), and the need to pay the bills even whilst away….. however, with all that said, life’s too short not to do things. Are you including the cost of flights?